Non-sustainable palm oil is damaging biodiversity on a global scale. 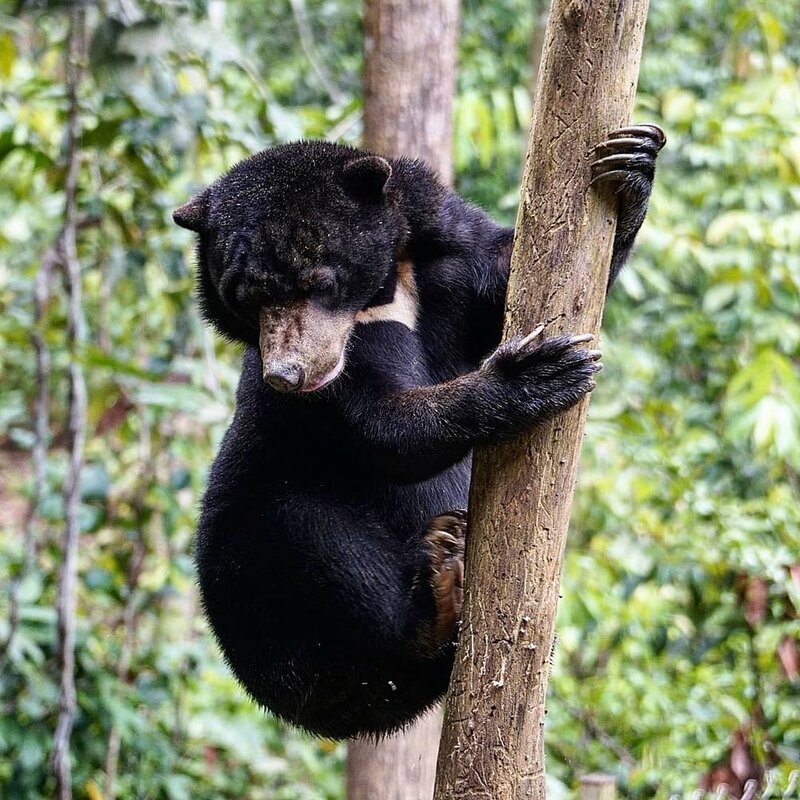 It is estimated that 193 species labelled as critically endangered, endangered or vulnerable on the IUCN Red List are affected across regions in South East Asia, Africa, and Latin America, (IUCN) as a result of the negative impact of palm oil. Palm oil is grown in the species-rich tropics, which is why this resource could potentially have catastrophic effects on global biodiversity. The Tapanuli orangutan (Pongo tapanuliensis): Found in South Tapanuli in the island of Sumatra, Indonesia. Sumatran orangutans (Pongo abelii): Found farther northwest in the island of Sumatra. Bornean orangutans (Pongo pygmaeus): Found on the island or Borneo. Sumatran tiger: This is the smallest of all the tiger subspecies. It’s stripes are narrower than in other subspecies and it has a more bearded and maned appearance (Tigers.org.au). Sumatran tigers have slightly webbed paws which allows them to swim more efficiently after their prey. Sumatran elephant: The Sumatran Elephant is the smallest subspecies of elephant, but the largest mammal existing on the island of Sumatra. They love to roam the luscious lowland forests of Sumatra, sometimes venturing uphill to mid-altitudes so long as it is below 300m. The skin coloration of the Sumatran Elephant is lighter than the other two subspecies of Asian elephants (onekindplanet). Sunda Clouded Leopard: Found across Borneo and Sumatra. Clouded Leopards are so named because of the large, blotchy, cloud-like markings on their body, head, legs and tail. Sunda Clouded Leopards are generally darker with smaller cloud markings each enclosing small spots (wildcatconservatinorg).